You are probably wondering why the connection of candy and my Dad right? 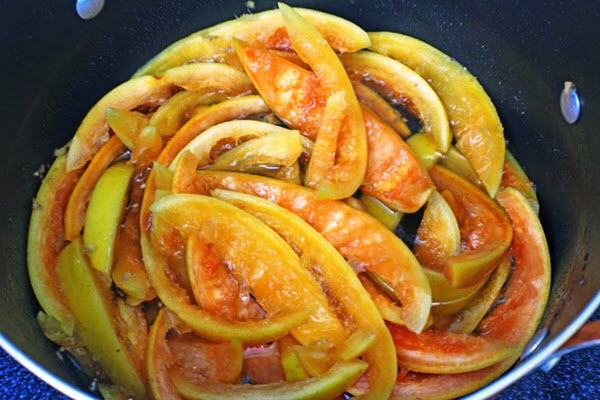 Well of all the childhood memories I have eating stuff that my dad made, this one of candied citrus peel stands out the most. 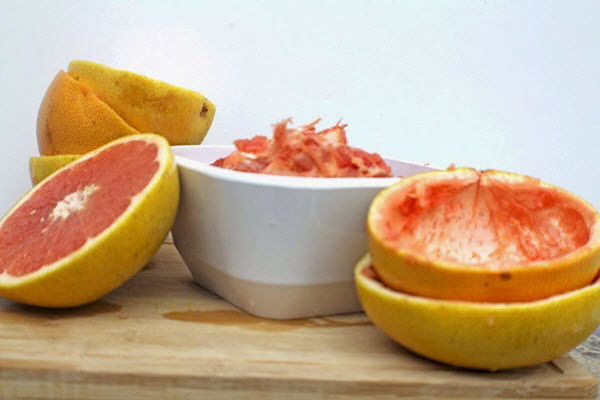 My dad made this for us using shaddocks (pomelo) but it was much easier for me to find grapefruits here but technically you can use any citrus fruit. I loved this snack. It is a mixture of fruit, sweet and bitter all in one. I know he continuously had to tell us, "don't eat anymore today" as my sister and I would go grab strips after strips. 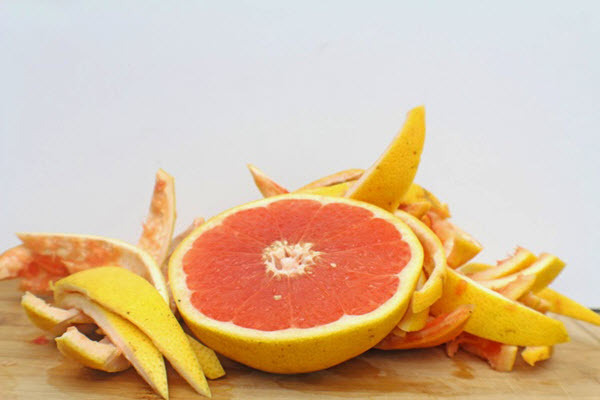 We need to "gut" our grapefruits. I cut mine in half, then cut around the edges and use a spoon to dig out the pulp. Then cut the them into thin strips. About 1/2 inch wide strips. We then have to scald the rinds in water to remove the oils. Place strips in a large saucepan and cover with boiling water and let simmer for 5 minutes..
Pour water off and repeat this process four times using fresh water each time. Drain peels. 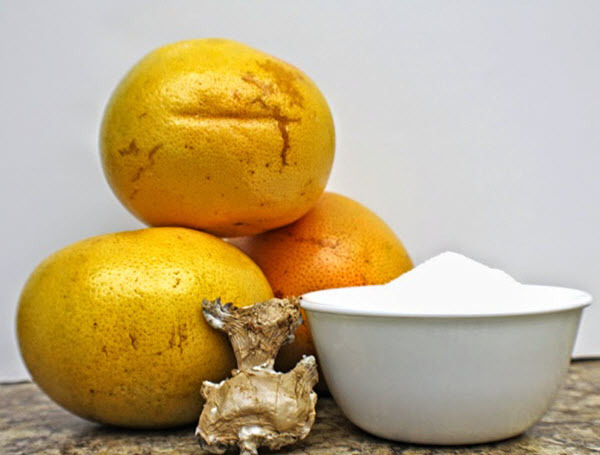 In the same saucepan add sugar, water and ginger and bring to boil. Lower temperature and simmer until sugar dissolves. Do not stir. 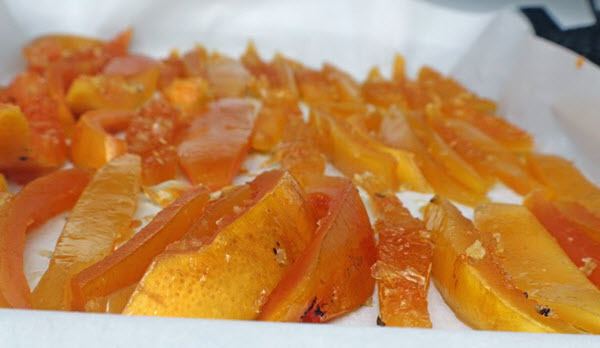 While peels are in syrup, line a large pan with wax paper. Transfer peels to wax paper and separate. When strips are cool, roll strips in remaining sugar. I used 1/2 cup of the 1 cup of sugar left back. Place strips on clean waxed paper and leave to dry over night. And your final project will be a tart citrus skin with ha sweet taste. I had to stop myself from eating these out during the process. I had a few strips that were wider than needed and I put those to the side to use when I'm baking a carrot cake later in the week. 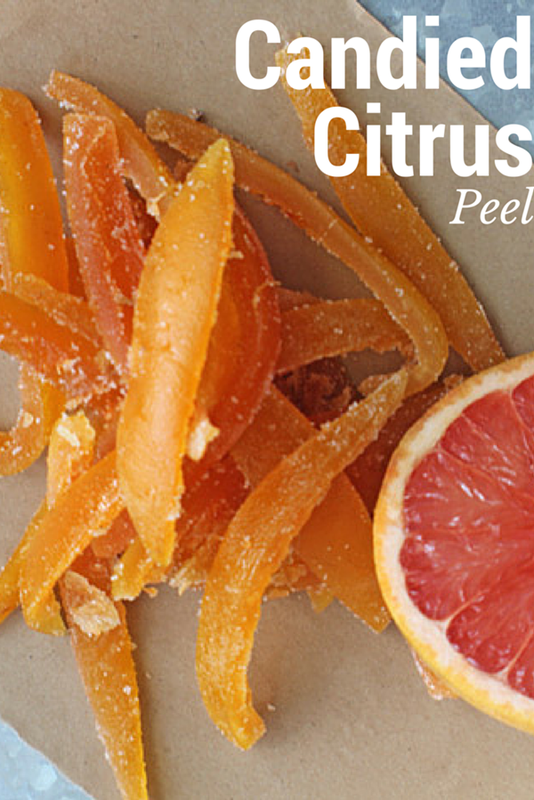 Have you every made candy out of citrus? 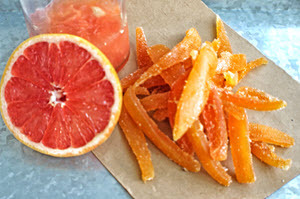 A step by step guide to creating this candied grapefruit that can be eaten alone or used in cakes and drinks. The perfect Summer snack. 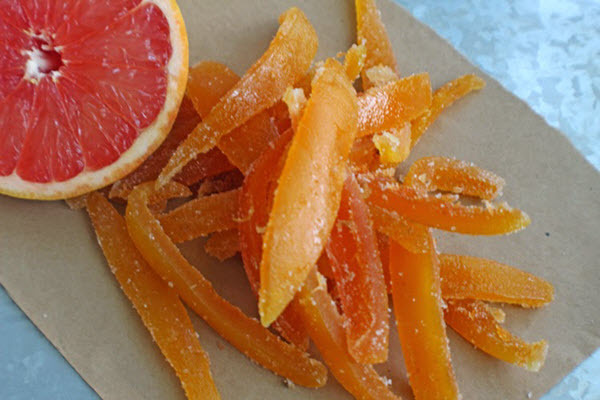 This recipe can easily be used to candy any citrus. Put strips in large saucepan and cover with boiling water. Add peel to syrup and partially cover pan. I've never done this, but your tutorial makes it look really simple! In Florida, we've got a lot of citrus - so I'd better get busy! Fantastic treat here! Thanks for great idea; we've never made this but I've always wanted to! 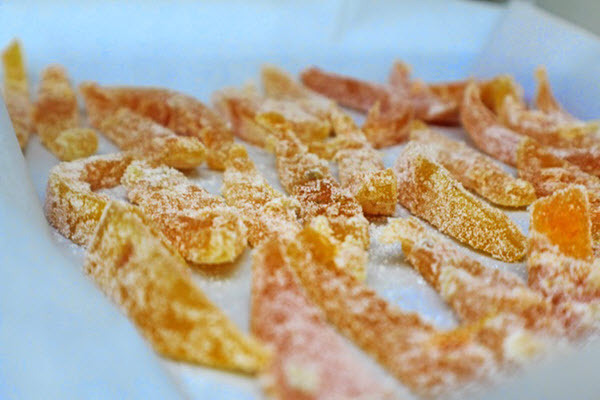 I don't think I've ever had candied citrus peels before. They're beautiful! I love the idea of using them in a carrot cake. Do you use them as a garnish or bake them into it? Funny I have never done this at home, but tend to just buy it. Looks great and I'm sure tastes much better too.